Waterbeds first came on the scene at the end of 1960’s and remained extremely popular for over two decades. What started as a novelty was later found to aid individuals suffering with back problems and various health issues like allergies and asthma. While many purchased them just for fun, others jumped aboard on what seemed to be a medicinal alternative for so many health issues. After hearing of their benefits, many climbed into the waterbed bandwagon. It was and still is a simple yet durable, large vinyl bladder. This bag bladder is filled with water and placed into durable a wooden supportive frame. One of the most amazing and beneficial features of these beds is temperature control by way of a specially designed heater making it especially nice for those seeking the warmth from the water during the cooler seasons. While these were certainly an innovation of the times, there were difficulties. Getting in and out over the surrounding boxed wood frame was particularly difficult. The early free flowing mattress came with it’s own set of issues. If one person rolled and turned over, the wave effect jostled and disrupted the partner’s sleep. Padded rails placed on the top of the side frame helped to comfort when entering and exiting but did nothing to dampen the disruption of waves. Soft-sided waterbeds: They look like any regular mattress. Within a zippered mattress looking encasement is again a vinyl safety lining and a vinyl bladder. 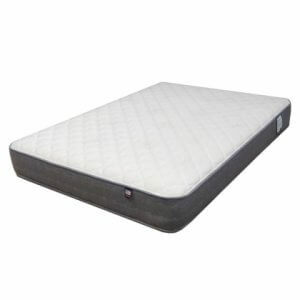 The wavy mattresses while still available, are often overlooked by consumers who want reduced wave motion. 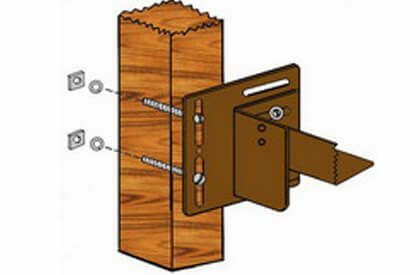 This comes by the way of baffled insertions that substantially reduce waves while offering more total body support. 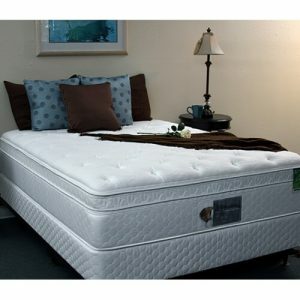 Soft but strong foam edging or as the mattress’s name implies “soft sides”, solve the entering and exiting issue seen in the old wood framed waterbeds. This also gives the appearance of a regular mattress. What makes them even more appealing is their look and sizing which allows them to be placed either within a traditional headboard or a headboard and foot board. 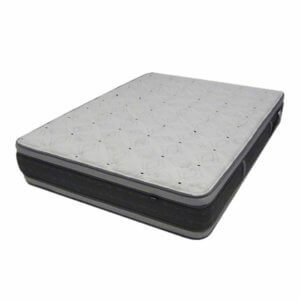 In most cases softside flotation mattresses are are fully covered with similar, if not the exact materials, used on normal mattress surfaces. This helps to not only protect the vinyl water bag but also help insulate the water making heating systems more efficient. 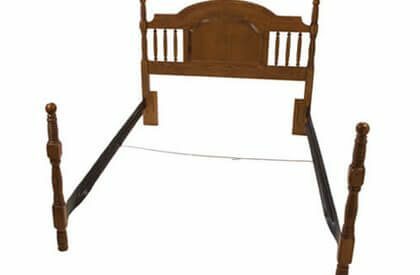 With the help of special steel waterbed frames and beefed up center supports these once dated looking beds now blend right into any bedroom decor by mimicking a regular mattress and even using regular bed linens. Conversions: Often individuals with waterbeds have purchased an entire bedroom suite of matching furniture. This can be quite costly when they decide that they no longer wish to have a waterbed. Rather than face discarding an entire room of furniture, consumers may now purchase regular mattresses which are designed to replace water mattresses. These “conversion” mattresses will provide a one-inch opening on all sides, so that, when placed in a frame, they can easily be worked around when it time for bed linen changes. Whether you need a new waterbed mattress, an entirely new waterbed system or you simply wish to convert your waterbed mattress, it’s important to note that these days you now have many viable options!